I am a senior researcher at INESC TEC (HASLab research unit) and invited assistant professor at the Department of Informatics of University of Minho, Braga, Portugal. I hold a PhD from the University of Toulouse, advised by Jean-Paul Bahsoun and mentored by Rachid Guerraoui. I've spent some time at IRIT (France), INSA de Lyon (France), and EPFL (Switzerland) twice in the past. I am interested in understanding and building correct, scalable, available, resilient, secure, and efficient distributed systems. Currently, I am working on Edge Computing (based on Conflict-free Replicated DataTypes), Blockchain and Cryptocurrencies (PoW, PoX, and BFT). - I'm giving an invited talk at Distributed Systems and Analytics workshop on "Edge Compute at Hyperscale". KTH, Sweden, Sept 2018. - I'm organising www.chain-in.org in Porto, July 9th and 10th. A must attend industrial/academic conference on blockchains that covers many areas if you are seeking a more comprehensive view. - July 2018: Presenting a brief announcement on "Sustainable Blockchain through Proof of eXercise" at PODC'18, UK. Selected Publications. (Full list here.). - Ali Shoker. "Sustainable Blockchain through Proof of eXercise". IEEE NCA, October 2117. - Paulo Sérgio Almeida, Ali Shoker, and Carlos Baquero. "Delta state replicated data types". JPDC Elsevier journal, 2018. - Carlos Baquero, Paulo Sérgio Almeida, and Ali Shoker. "Pure Operation-Based Replicated Data Types". arXiv CoRR . October, 2017. - Jean-Paul Bahsoun, Rachid Guerraoui, and Ali Shoker. "Making BFT Protocols Really Adaptive". IEEE IPDPS'15 , May, 2015. - EU H2020 LightKone project on edge computing. (Coordinator of INESC TEC's contribution & WP3). - Tec4Growth SMILES Portuguese P2020 project on Internet of Things; Portugal, 2014. (Member). - Founder and organizer Chain-in Blockchain conference. - Founder and organiser of INESC TEC/HASLab InfoBlender seminar. - IEEE TKDE 2019. IEEE Transactions on Knowledge and Data Engineering. Topic: Blockchain. - Elsevier JPDC 2018. Journal of Parallel and Distributed Computing. Topic: IoT Security. - AJSE 2018. Arabian Journal for Science and Engineering. Topic: Systems load balancing. - IEEE TCC 2014. IEEE Transactions on Cloud Computing journal. Topic: Byzantine SDN. - ICA3PP 2019. The 16th International Conference on Algorithms and Architectures for Parallel Processing. - CCGrid 2019. The 19th IEEE/ACM International Symposium on Cluster, Cloud and Grid Computing. - PAPOC (EuroSys) 2019: Workshop on Principles and Practice of Consistency for Distributed Data. - CloudCom 2018. The 10th IEEE International Conference on Cloud Computing Technology and Science. - PAPOC (EuroSys) 2018: Workshop on Principles and Practice of Consistency for Distributed Data. - CloudCom 2017. The 9th IEEE International Conference on Cloud Computing Technology and Science. - CCGrid 2017. The 17th IEEE/ACM International Symposium on Cluster, Cloud and Grid Computing. - PMLDC (ECOOP) 2017. The 2nd workshop on Programming Models and Languages for Distributed Computing. - CloudCom 2016. The 8th IEEE International Conference on Cloud Computing Technology and Science. - ICA3PP 2016. The 16th International Conference on Algorithms and Architectures for Parallel Processing. - PMLDC (ECOOP) 2016. The first workshop on Programming Models and Languages for Distributed Computing. - EuroSys 2014. EuroSys Shadow PC (live PC). - Successful Systems in Production (founder, proponent, and coordinator), a PhD course at MAP-I, Fall 2017 and Fall 2018. - Technology of Security: Introduction to Blockchains and Cryptocurrencies (proponent and lecturer), MSc course at the School of Engineering, University of Minho, Fall 2017. - Reliable Distributed Systems, MSc course at the School of Engineering, University of Minho, Spring 2016. - Functional Programming lab, undergraduate course at the School of Engineering, University of Minho, Fall 2016. - RISE SICS DSAW. Invited talk on "Edge Compute at Hyperscale", Sweden, Sept. 2018. - UMinho Engineering Week SEI’17. Incited talk on "Everyone is excited to Bitcoin and Blockchain, shall I? ", Portugal, Feb. 2018. - On the Three Vs of Big Data from a Quality of Data Perspective. Tutorial at NESUS Action winter school, Italy, 2017. - Fundamentals of Distributed Systems "Next Generation Clouds - Powering the Cloud", PhD seminar tutorial at MAP-I, Portugal, Spring 2016. Georges Younes, PhD at MAP-I (co-supervisor with Carlos Baquero). Topic. Operation-based CRDTs and scalable causal middlewares. 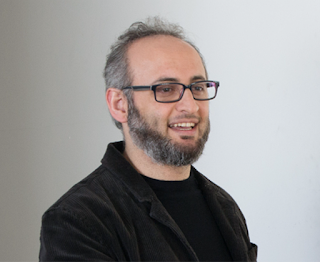 Houssam Yactine, PhD at MAP-I (supervisor). Topic. Byzantine resilient highly available systems. Ziad Kassam, PhD at MAP-I (supervisor). Topic. Exactly-once communication for almost-infinite scalable applications. Diogo Gomes, masters at UMinho (supervisor). Topic. Scalable hybrid permissionless blockchains. Paulo Guedes, masters at UMinho (supervisor). Topic. Message forwarding in the BAR (Byzantine, Altruistic, Rational) model. Georges Younes, masters internship at HASLab (supervisor). Topic. Multi-master Redis DB. (Concluded). - Interview and Curry On video on "There are no BFT Fans Anymore... About Secure Eventual Consistency". June 2017. "If you think education is expensive, try ignorance." -- Derek Bok. Ali Shoker 2016. All Rights Reserved ©.